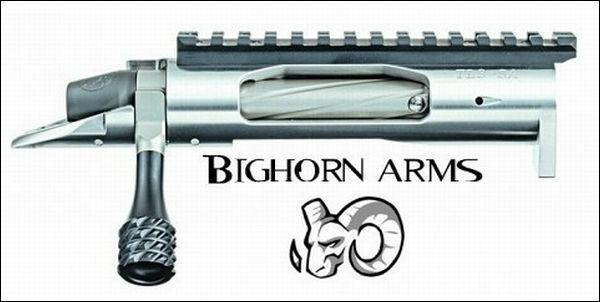 This new action from Bighorn Arms has many interesting features. It boasts a floating, interchangeable bolt head, plus a patent-pending enclosed mechanical ejector. It also offers tool-less bolt disassembly, and a Savage small shank is available for a Remage-type setup. With this versatile system you can swap bolt head and barrel in minutes. That’s great for varminters who heat up barrels quickly. It also lets competitors swap calibers easily. An F-TR shooter could compete with a .308 Win but train with less-expensive .223 Rem. This new action is machined after heat-treating, then precision ground (not turned) for best strength and dimensional accuracy. The bolt handle and body are crafted from one piece of 4130 chromoly steel. NOTE: This action can be ordered as AICS and AW magazine compatible, or AICS-only for a stiffer action. Price: $1325.00. 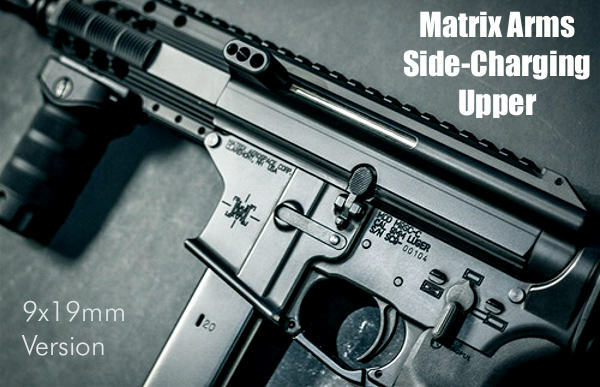 This patent-pending product from Matrix Arms eliminates the conventional rear charging-handle on ARs. It provides an easy-to-operate charging handle on the left side of the upper. Available in 5.56x45mm and 9mm Luger, the patent-pending Matrix Arms side-charging upper allows the use of a standard 5.56 bolt carrier group without modifications. Note this design does NOT reciprocate (move back and forth) like the charging handle on an AK47. Once you use the handle to chamber the first round, the handle doesn’t move. The Matrix upper also offers a protective sleeve to eliminate dust or debris in harsh conditions. Price: $299.00 (upper receiver only); $599.00 (complete upper with barrel + handguard). There’s a new long-range precision tactical rifle from Ritter & Stark (R&S) of Austria. 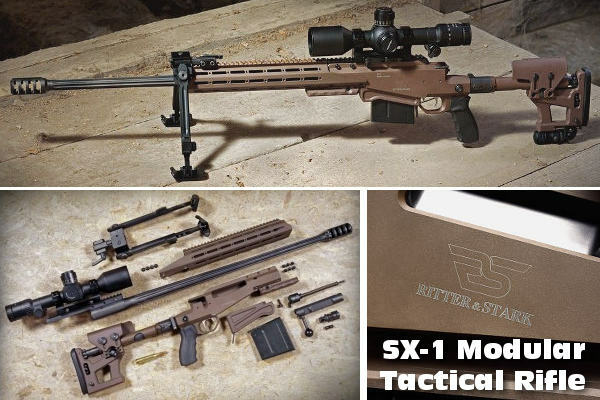 The new SX-1 Modular Tactical Rifle (MTR) is designed to allow rapid barrel changes for three chamberings: .308 Winchester, .300 Winchester Magnum, and .338 Lapua Magnum. 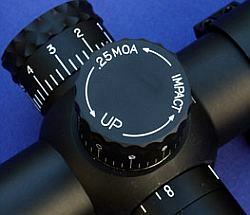 Notably, the scope rail is mounted on the barrel itself, and the bolt locks directly into the barrel. This patented system allows scope, rail, and barrel to be swapped out as one integrated assembly, which should definitely help maintain zero when barrels are exchanged. Price: $5555.00. Now this is smart! 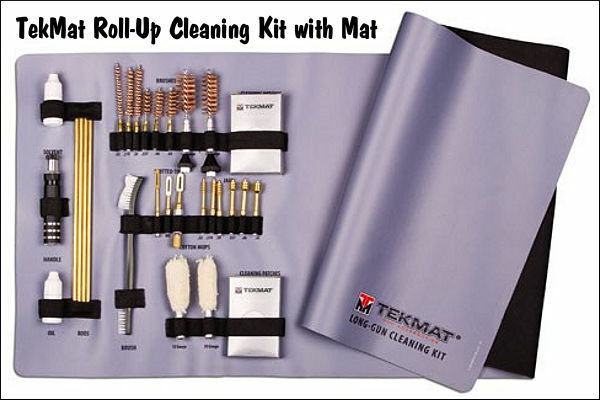 TekMat’s 28-Piece Universal Rifle/Shotgun Cleaning Kit rolls up in its own fitted cleaning mat. You get brushes, jags, and slotted tips to clean everything from .22 caliber to a .45 caliber, along with 12 and 20 gauge shotguns. Also included is an aluminum tool handle, four brass rods, two cotton brushes, cotton patches, solvent and gun oil. All parts have a labeled location on the mat and elastic bands hold everything in place. The kit easily rolls up and fits inside the included carry bag. TekMat cleaning mats feature a soft, durable, and stain resistant thermoplastic polyester cleaning surface. Price: $59.95. 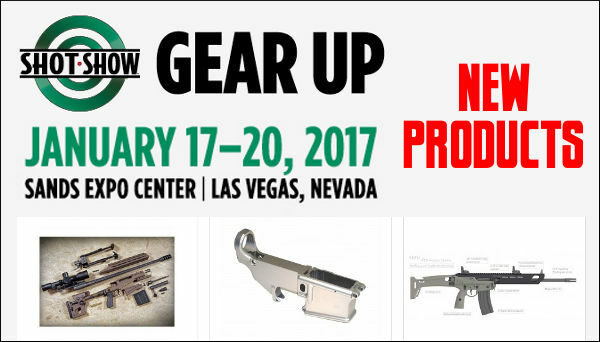 Share the post "SHOT Show New Products Revealed"
Today is Election Day — Exercise Your Right to Vote! Today’s the day — November 8, 2016, Election Day. We urge all our readers to get out and vote. Every vote DOES count. This is a very critical election for gun rights issues. It’s not just about the Presidential race. Control of Congress is at stake, as are important upcoming nominations for the Supreme Court. 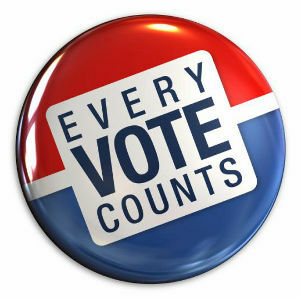 If you care about the future of the country (not to mention the future of the shooting sports), get out and vote today. Likewise, remember that state elections are very important too. Just look at what has happened in California. Every year Californians have seen new challenges to citizens’ Constitutional rights to own firearms. Handguns are restricted, self-loading rifles are restricted, hunting areas are closed. And now California’s majority-party politicians want to require citizens to have a state permit in order to purchase ammunition. Make no mistake about it — the ultimate goal of many proponents of these measures is to end private ownership of firearms altogether. The only way to halt these kind of infringements is to elect State and Federal representatives who respect gun rights, who are friends of the shooting sports, and who believe in the Second Amendment. 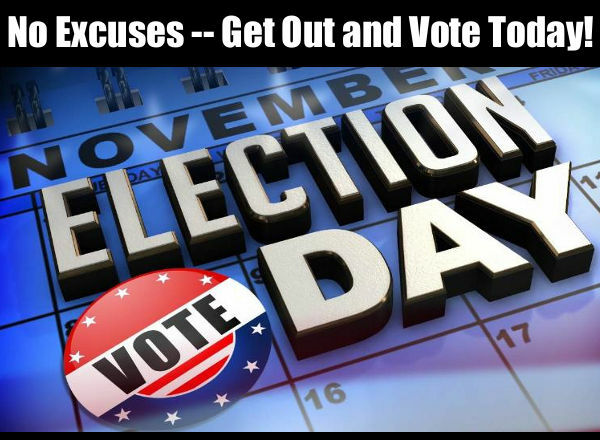 Share the post "Today is Election Day — Exercise Your Right to Vote!" 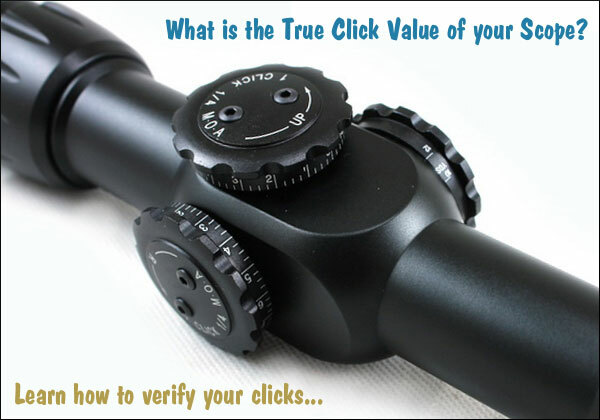 Share the post "How to Check Your Scopes’ True Click Values"